A week or so ago, some of the panel on “The View” were disturbed after seeing images of actress, model, television hotel, author and restaurateur Barbara Smith (B Smith to the world) who has Alzheimer’s. 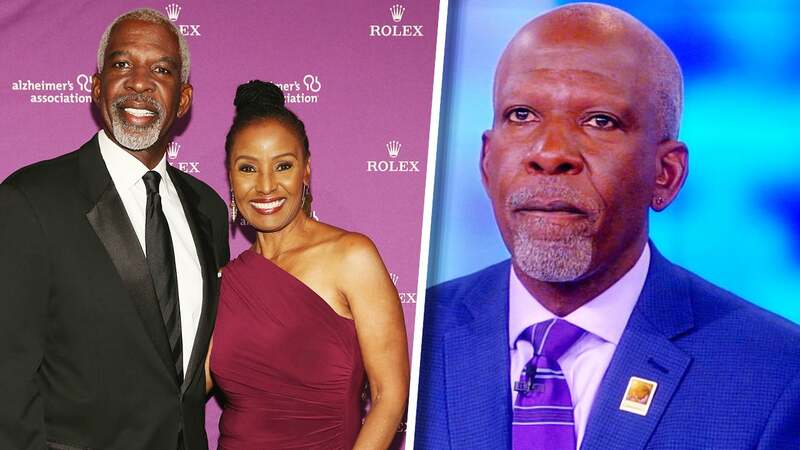 Other’s, notably host and friend of the couple Sunny Hostin who was angry that Dan Gasby has a girlfriend who lives part time with the couple. Host, Sunny Hostins, grand father left her grandmother who had Alzheimer’s, she and her family cared for her grandmother. writing “#WhyLie.” It became clear from social media posts that Lerner was occasionally staying at the couple’s home. Since the posting, Gasby has faced a backlash from the public. Most were troubled by his relationship with his girlfriend. Beleving it was being disrespectful to his wife and their marriage for others, its his white girlfriend. Mr Gasby, appeared deeply hurt on “The View” yesterday. He said that his wife is in remarkably good shape from the eyebrows down, but mentally. she is a toddler. He talked how she would escape from their former home and freely get into any car with a black man thinking that man was him. He said when his wife got the diagnosis in 2013, She told him, She wanted him to go on. One thing I know is consistent is I’ve listened to what she said. We made these plans a long time ago. What I’ve seen Alex deal with, my daughter, myself… makes me realize I’m doing the right thing. I’ve gotten grief no matter what I do. One thing Gasby brought up was the preparation for death and preparation to take care of you spouse should they fall ill. He said, in his will, there are do not resuscitate instructions. I’m not, prepared for death and I imagine few are. Should I die today, my death would cause a lot of stress to my love one.. They don’t know where my insurance papers are , or burial plans. I hope to change this. In her first public appearance since her show was canceled due to her racist tweet, Roseanne Barr spoke about the weeks she spent in hiding. 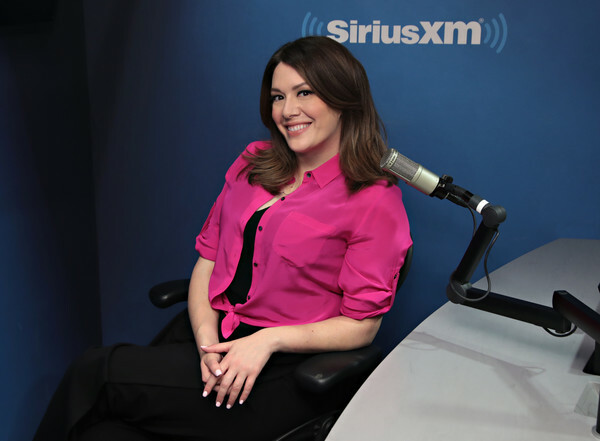 On Thursday night, following her interview with Sean Hannity, the former Roseanne star made her way to New York’s “Stand Up” Comedy Club, a frequent host of contentious right-wing guests like Milo Yiannopoulos and Ann Coulter, for Barr’d with Roseanne Barr, where she spoke with close friend Rabbi Schmuley Boteach. 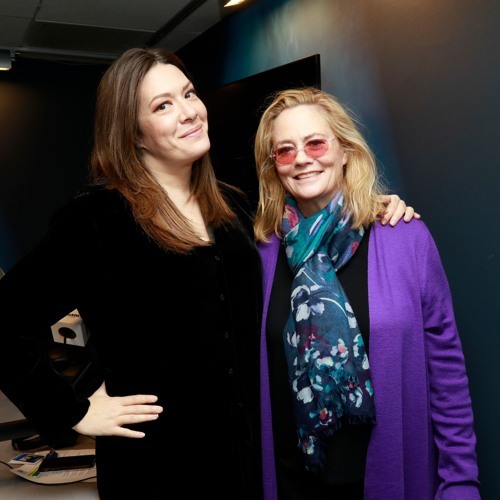 Touching on topics that ranged from Barr’s devout Zionism to her incentives behind voting for President Donald Trump, the actress and comedian, 65, detailed her feelings amid the public backlash, receding to her mother’s basement in Hawaii, where she spent two months. “It was the end of the world and my life’s work. But I lived through it and God has shown me great love and so have people and that’s very healing,” she continued. Barr admitted she found a sense of solace in her dismissal from the show, which she said had been taking a toll on her health even before the controversy. After posting the racist tweet likening President Barack Obama’s former advisor Valerie Jarrett, who is black, to “an ape” during the filming of Roseanne in May, the star attributed the misstep to her poor health and “emotional imbalance,” due to depleted vitamins. “I wasn’t completely coherent when I woke up at 2 a.m. and wrote that tweet. I had it in my mind, Oh boy this is a good one, this is going to save the Jewish people, because I just had this dream,” she said on stage. Last week, she posted a puzzling You Tube video featuring a disheveled Barr smoking a cigarette, screaming in attempts to defend her actions. “I’m trying to talk about Iran! I’m trying to talk about Valerie Jarrett about the Iran deal. That’s what my tweet was about,” Barr screamed. On Thursday night, Barr, admitted she’d seen the segment and responded by mocking Jarrett’s initial reaction to the social media post. “They asked her ‘Are you going to watch Roseanne on Sean Hannity?’ And she said, ‘No and I hope no one else does either,’ you know, because she’s into ‘teachable moments,’” she quipped back. My mother said dont, send me flowers after I’m gone. For months,I had planned to write about Senator John McCain a man I have admired since 2008. Being the master procastinator I am, I’ve waitied until what could be his final days. Perhaps service wasn’t an option for John Sidney McCain III. His father, John Sidney McCain jr and his grandfather John McCain Sr were Admirals. Everyone knows of his heroic service, capture and torture by the Vietnamese. I became a fan of John McCain in 2008 when he was running against Barack Obama. After defeating Hillary Clintion in the primaries, I chose to support Obama. I always loved politics. Politicians generally play it safe, playing to audience where they have support. John McCain got my full attention when he visited Memphis Tennessee to commemorate the death of Martin Luther King Jr. Congressman McCain, voted against establishing a holiday for Dr King, saying it wasn’t nessarary to have another federal holiday, it was too expensive and other “President’s ‘ weren’t recoginized. In fact, Arizona did not honor the holiday until in 1993. So there he was in Memphis, courting black voters, having a press conference at the Lorraine Motel where Dr King was killed. There he was in hostile territory being booed and heckled. He said he was wrong for voting against the holiday. Now some may say his trip to Memphis was a desperate attempt to woo black voters, others a photo opt. But I don’t remember a single politician attending an event where he knew, he would face an hostile audience. John McCain did! I later learned he often stood alone. This was evident at a rally where one of his supporters said “I can’t trust Obama. I have read about him, he’s an Arab.” Most politicians would have been silent. But the Gentleman from Arizona corrected her. He said his opponate was a decent family man, a citizen that he just happen to have disagreements with on fundamental issues. “He is a decent person and a person that you do not have to be scared of as President ,” “If I didn’t think I’d be one heck of a better President I wouldn’t be running, and that’s the point. I admire Sen. Obama and his accomplishments, I will respect him. I want everyone to be respectful, and let’s make sure we are. Because that’s the way politics should be conducted in America. This wasn’t well received by members of his campaign committee and members of his party. In fact, he was bood by some of his supporters in the audience. I began following the man who was often a thorn for some in his party. A man who was well respected on both sides of the aisle. The Senator, the Gentleman from Arizona, stood alone aganist his party as he was one of the few who challenged our current President. His loyality to the people outweighed his loyalty to his party. Again, some might say its personal. The candidate said he wasn’t a hero. But those who know McCain, say’s it isn’t personal, its John McCain. These are ugly times in the nation, our leaders have openly participated in dividing a nation. It’s grade school , where if your his friend, he can’t be mine! Leaders of the parties have said you will NOT be seen socializing or talking to members of the other party. A few months ago, he was diagnosed with an aggressive tumor called glioblastoma a brain tumor. It was the same tumor that took Biden’s son Drew in 2015. Vice President Biden,breifly talked about his best friend, the disagreements they’ve had through the years and how solid that friendship is today. The days have been difficult for the McCain family. After the dianoses, others may have retired, but they aren’t John McCain. Staffers senses he’s tired, but he smiles and tells jokes. I have long admired mavericks, individuals who aren’t rubber stamps. There aren’t enought of them. It inst easy to stand alone and disagree. It takes a lot of courage. There are few John McCains in the world. I hope he survives for personal reasons. America needs him RIGHT NOW! I try not to live my life assuming. Assuming that they know. Using real words, I tell my family and those in my circle I care for them, I love them. As my mother said, at the funeral its a bit late. This is simply a check list for me, all self serving. I will never meet Senator McCain and he will never see this blog about him and how much I admire him as an invidudual. All the best to him and his family. Maxine Moore Waters is a political icon in California. The fiery Democrat has represented Southern California for more than forty years. The Congress woman’s resume is filled with accomplishments, including chairing the Congressional Black Caucus. Today she is a social media star, riding a wave national popularity. Her tweets in response to President Trump has gone global. Within hours, ” Reclaiming my time” went viral. Tee shirts. songs, Reclaiming time. The Congresswoman is hot commodity, sought by news and talk shows. Last Friday on “The View” Paula Faris brought up The Washington Post publishing transcripts of the president’s phone conversations with Mexican President Enrique Pena Nieto and Australian Prime Minister Malcolm Turnbull on Friday, asking the California congresswoman if she was “disturbed” by the leaks. Paula Faris continued her argument. “America loses here though, he can not have a candid conversation with the leader of another country,” she added, “countries are not going to want to get on the phone with the leader of the free world.” The View’s Jedediah Bila said “If this leak can happen for this president, that means it can happen for any president and other countries will look at us and say the United States of America, as a whole, is not a secure place. “He is undermining the country,” Waters said, before the show went to commercial. Maxine Waters position is similar to many of her Democratic Colleagues . While Donald Trump polls numbers are falling . There is no collective data that suggests overwhelming success for the Democratic party 2018 In a resent ABC/Washington Post poll the news isn’t very positive for the Democrats. Democrats aren’t stirred, while like many Americans they are overwhelmed by the daily barrage of Trump shockers and like Americans Democrats many are slowly becoming numb by the daily news. With each news report the Democrats attack the Trump administration. However, they have not offered alternatives to the American public. While Americans overwhelmingly support the Affordable Care Act , the GOP owns the messaging. Is the Democrat’s silence by design? If the GOP were successful in completely dismantling the ACA, the Democrats might be swept into office. might! Meanwhile caught in the middle are the millions of Americans who depend on the coverage. Maxine Waters and the Demo’s represent a party without new ideas and direction. August 2016, 47% of Americans polled had a negative view of the party. Last month 48% have a negative view. The polls indicate,Independents disapprove of Trump. While there are cracks within his base, Trump has a firm grip on his supporters. That base, unlike the Democrats and Independents are likely to support any candidate he endorses. The infighting could result in a split in the party much like the Tea Party in 2010. On Sunday, The Democratic Socialist of America got a chance to break away from the Democratic Party. A resolution laid out all of the reasons, from the reported 57 percent of voters who want a third party, to the rapid success of the 2016 presidential bid by Sen. Bernie Sanders (I-Vt.), to the laughable unelectability of the Democrats. The resolution failed — easily so. While the judgment of 697 delegates to a socialist convention might not seen like a major Democratic Party development, it was telling of something that frequently gets lost. Democrats, for whom self-flagellation starts at birth and continues after death, have been moving as steadily left as Republicans moved right in 2009, when they last lost power. While the Democrats had a slight edge with Millennials in the 2016 election. Many voted by default. The Millennials aren’t happy with either group. A third party candidate could easily capture a large percentage of the vote which would benefit the GOP. The fragmented Democratic party needs a message that resonates within the party. The current and limited message of Impeaching Trump is an indication of the fragmentation. You often have to be careful of what you ask for. Its very possible in the next year or so, President Trump may be impeached or leave office. Waiting in the wings is Mike Pence. The former Governor of Indiana has a very conservative agenda. Unlike Trump, he has experience in government and is respected in his party. The Democratic Party hasn’t found away to capitalize in the current disarray of Trumps administration. However, President Pence does not have Trumps baggage. He has the ability to push through legislation. Who is leading the party? Nancy Pelosi like Maxine Waters are shouting Impeachment from the comfort of their Leather Chairs. Elizabeth Warren criticizes Trump as she hawks her newest book. Bernie Sanders is an island and Hillary is bitter. Waiting for an Impeachment is very short sided and premature. Its time to move on from talks of Impeachment, and to shore up its base. Both parties could benefit from a major renovation bringing in fresh (younger faces and ideas) that would appeal to a fading demographic and to an emerging one. Or maybe its time for Americans to jump ship to other political parties that have their interests. ABC’s The View: Barbara Walters vision ruined? Over two decades ago Barbara Walters and producer Bill Geddie created a daytime talk show hosted by different generations of women, it was the first of its kind. I’m a huge fan of the show and I watch it daily. The discussions are lively and topical. Missing it was not an option as the The View is part of America’s daily dialogue. The success of the show belongs to Geddie and Walters who carefully chose the hosts. They allowed the talent to develop building a relationship with each others and with the viewers. Sherri Shepard and Elizabeth Hasselbeck are two examples of that development. Comedienne Actress Shepard didn’t seem to grasp of the world and the topics, she seemed lost much of the time. I struggled with Hasselbeck’s youth ,while others struggled with her conservatism. As the lone conservative Hasselbeck faced a daily challenges, especially against the very liberal Joy Behar and the ultra liberal Rosie O’Donnell . Overtime, all the host allowed us into a brief look into their private lives(including Barbara). They shared stories of weight loss,dating, family ,daily rants and challenges that we can all relate to.. Through those personal experiences.I got to know Hasselbeck and Shepard and a bond developed. When a host left the show it was like a friend moving out of state. Barbara was the mother, Geddie was stern uncle. When Whoopi and Joy walked off during the Bill O’Reilly interview. Mother was not happy! O’Reilly was a guest in their home and walking out was not acceptable! From time to time she’d remind Goldberg and Behar of their misdeeds. With mom and uncle Bill gone, the house unstable. Bonding is difficult for the audience and cast members due to the never ending revolving door. 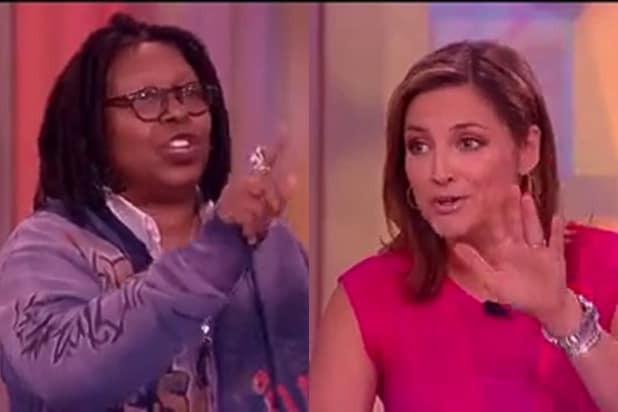 The new hosts are clearly intimated by the veterans Whoopi Goldberg and Joy Behar. There have been more cast changes at the view since Barbara’s Retirement in 2014, Rosie O Donnell, Sherri Sheppard, Jenny McCarthy, Rosie Perez, Nicole Wallace, Michelle Collins, Raven Symone and last week Candace Cameron Bure than in the previous 17 seasons combined. Whoopi Goldberg say’s this season is her last. Television often rely on focus groups to determine the direction of the show. Sometimes the likability factor often decides who is hired or who stays. Under Walters and Geddie it seems information from the focus groups aided in the development of the casting. Under the new regime, they seems to relies solely from the data from the groups to determine casting. .She believes the legacy has been compromised due to poor casting and bad leadership. Walter is concerned the show will be remembered for its petty backstage bickering and revolving door of talent. Barbara Walters (mom),the Legend is not happy! My Twitter was twittering this morning and it was a rare appearance by Whoopi Goldberg who was responding to a Daily News article about the The View. View Co-host Paula Faris was recently told her role at The View was cut to one day a week. She will only appear on Friday’s Whoopi’s day off. The cut comes after focus group feedback research on Faris co-host was ‘some of the lowest the network has seen since Elisabeth Hasselbeck. The decision was made two weeks ago and since then, Faris has only appeared on the Friday episodes moderated by original View co-host, Joy Behar. Whoopi tweeted this morning. Someone my age with do. For goodness sake the only botch fest is the one in talks minds. No fight here just clearing up an untruth. Anything I think?? No Daily Mail I wouldn’t ,so if your going to continue to accuse me of doing this kind of thing could you make something. Also Daily Mail, knowing people talk a lot. Do you honestly think i would talk or at in such a way that would give you any ability to know.? Rule the entire universe, I have enough to do in my life that to take mean girl pleasure at someone else WRONGLY perceived change. I’m not repsonsible for firing or moving people around or negotiating my coworkers contract. I LIKE have a gig and as muchs as I’d like to. Contrary to what u might read. I do NOT run ABC nor do I own or produce, not involved in the hiring 4 The View. so dont send ur resumes. This must cut deep, I have never seen the Whoopster respond to rumors or controversy online. The View in my opinion has suffered from the moment Barbara Walters and Bill Gettie stopped producing the show. Under their watch the co-host were developed and were allowed to bond with the audience. There has been a revolving door since executive producer Barbara Fedida has been at the helm. In the last few years the audience has said goodbye to Sherri Sheppard, Nicole Wallace. Michelle Collins, Jenny McCarthy, Rosie Perez, Rosie O’Donnell, in addition to Faris, Raven Symone has been reduced to one a week. Its likely Faris and Symone will not return next season. The new permanent host will include Jedediah Bila ,Sara Haines and Sunny Hostin .